Humans of the world, unite! 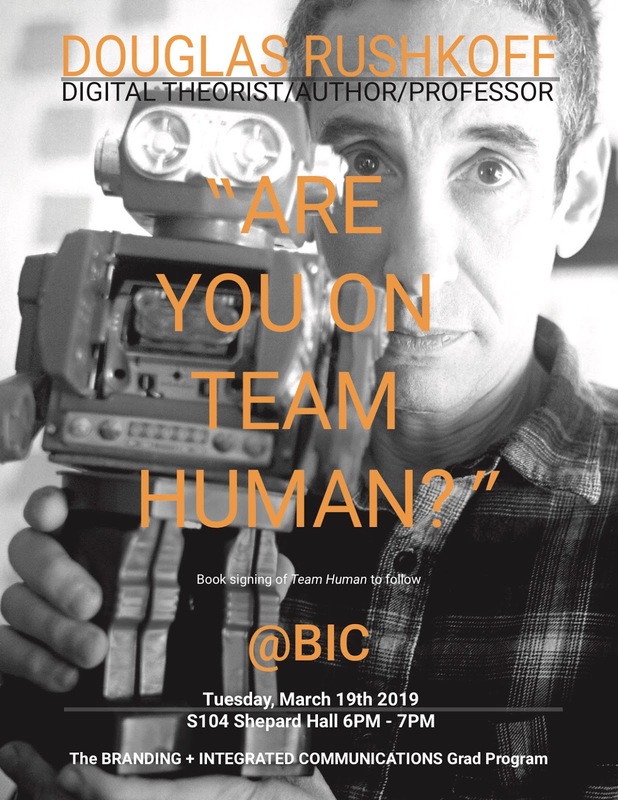 Pre-eminent digital theorist Douglas Rushkoff is coming to City College on March 19th for our first @BIC Lecture of the semester to celebrate his latest publication and pro-people manifesto, Team Human. Harnessing wide-ranging research on human evolution, biology, and psychology, Team Human proclaims that when we work together, we realize greater happiness, productivity, and peace. Need a group hug? Come join the conversation in this very human forum. Afterwards, books will be sold and signed (in person, one-on-one, human-to-human) by the author, Douglas Rushkoff.